Thank you for touching our hearts. Such a kind soul, you are truely missed. You were amazing, I wish we had more time with you. You touched so many hearts, we truely miss you. 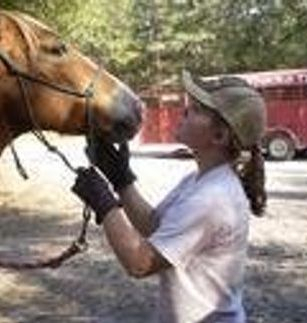 To those horses who have graced us with their presence, and touched our hearts and souls. They are among the Angels now and will always be missed! 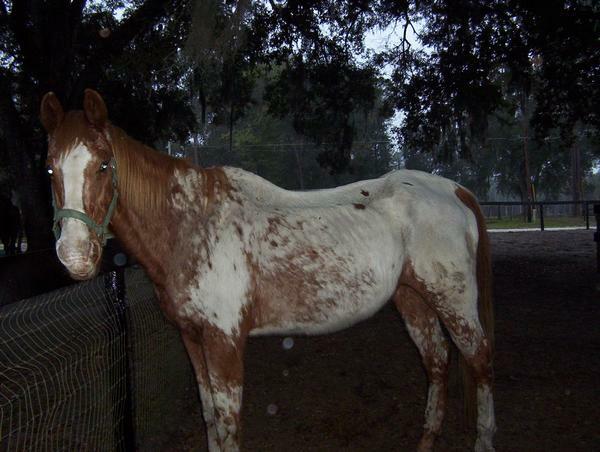 She was a beautiful quarter horse mare. She was given to us and we were told that the huge belly was because she was overweight. We put her out on the trail for a short time to try and help her work off the weight. We later found out that she was pregnant. Unfortunantly it turned out that the baby was dead and we had to deliver the stillborn baby. It turns out that she had been carring this baby for some time before we recieved her. She was in her 20s and this was just too much for her. We lost her a few months later. Please if you choose to allow you horses to breed do so responsibly. Dally we miss you and you will not be forgotten. Dune was always the old lady on the farm. She lived to be 34 years old. She started her career as a racehorse. She made in excess of $500,000 which is a very large sum for her time. 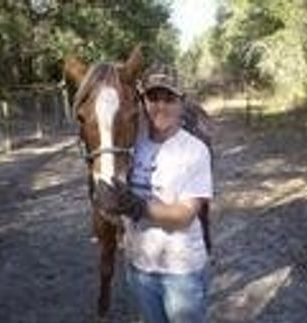 She then went on to be a broodmare for a time. 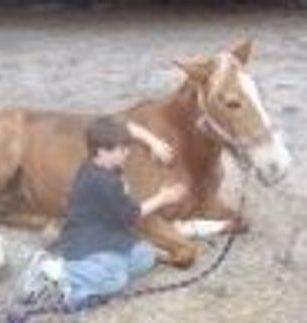 After that she was a babysitter for foals for awhile. Then just before she came to us, she belonged to a young teen for a bit. When he came to a point in his life that he could not provide the care and time she needed he asked us to care for her. At that point she was a wonderful addition to our farm. 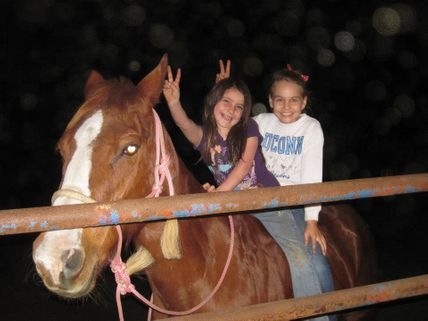 She was a kids horse. 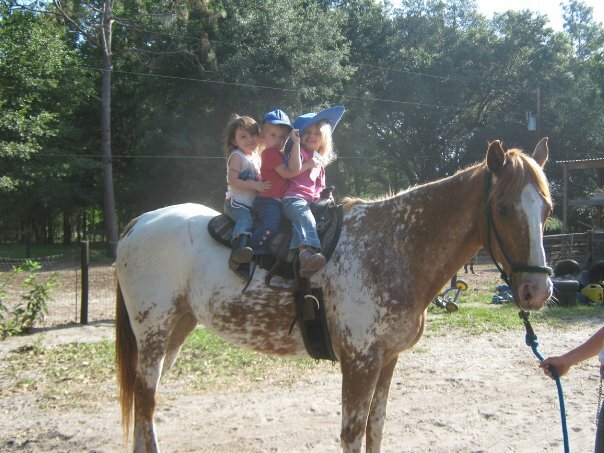 My daughter rode her on her own at the age of 2-3 years old. She also claimed her for her own. After that she continued to live the rest of her days here until the ripe old age of 34. We lost her on 12-14-2010. We will miss you Dune! See you on the other side. Lena was a favorite to so many children and adults alike. She was with us for about 5 years. 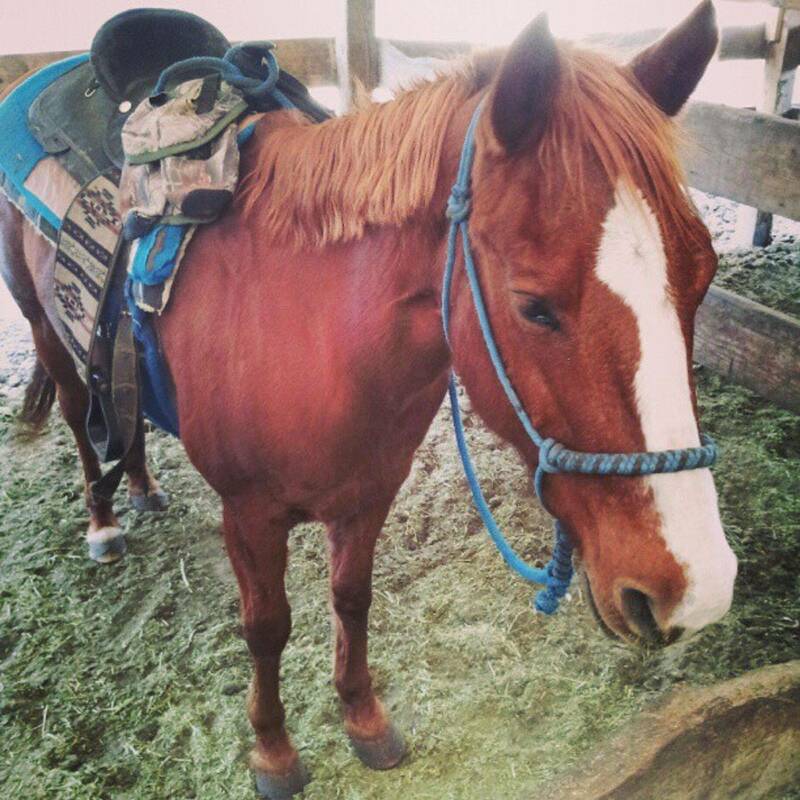 She was one of the first horses to be taken in with the intentions of running our business. Lena was amazing and everyone that knew her loved her. So many hearts broke the day she passed. She had either a heart attack or stroke. 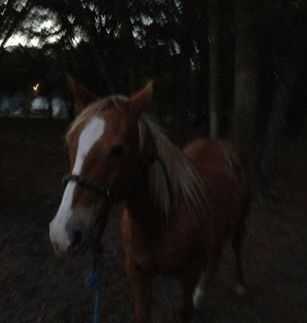 She was out in her pasture and we were going to catch her for a ride. My little boy went out to get her and she ran away. 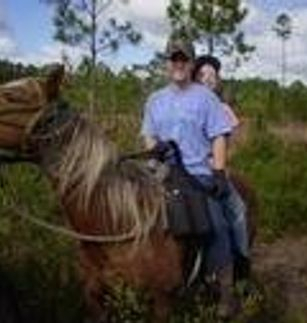 This was not in her nature, she loved to go out for a ride. She ran one circle around the pasture and just dropped. It was that quick. Lena we love you, and miss you. How do I even begin. Dakota was Awesome! He was our grumpy old man, but he was a great horse. He was almost 30 when we lost him. We did have to watch him though. He was a bit of a kicker. We always had to tell everyone to give him some space. But he always warned you first. First came the dirty look. Next a little hop with the rear. But after that watch out cause the feet were gonna fly. But even with his quirks he was well loved. 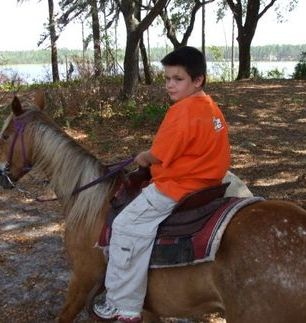 Children and adults alike rode him. He was a little on the lazy side and didn't always feel like working. 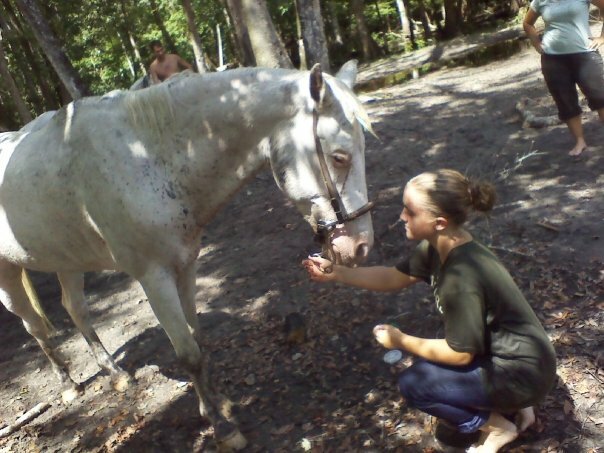 He was the only horse I ever met that would fake a limp. He tricked us a few times. 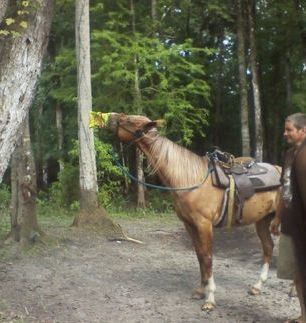 Then one day we were watching him and trying to figure it out and he forgot which side he was supposed to be limping on. He was truly a character. He will always be in our hearts, and the hearts of the many people who were lucky enough to know him. Taken before his time. We lost him to an impaction. He was only 14 years old. We never expected to lose him so soon. 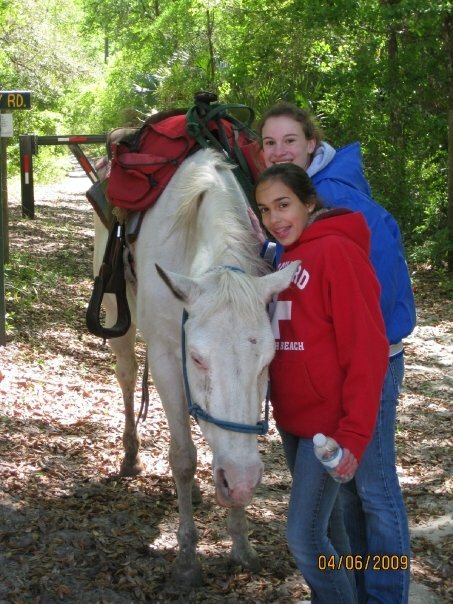 He was a great horse. He loved to swim and his favorite people were the young girls who loved the flashy paint he was. We will really miss you Montana. The only comfort I have in this is that God now has a wonderful horse and I will be looking forward to seeing you on the other side Montana. This old girl was the very definition of trust. By giving you her complete faith, you couldn't help but do the same with her. She was blind when we took her in. 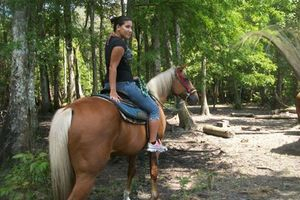 We were amazed at how wonderful she was on the trails. She would take the smallest child and take it slow and easy. She took the best of care with them. 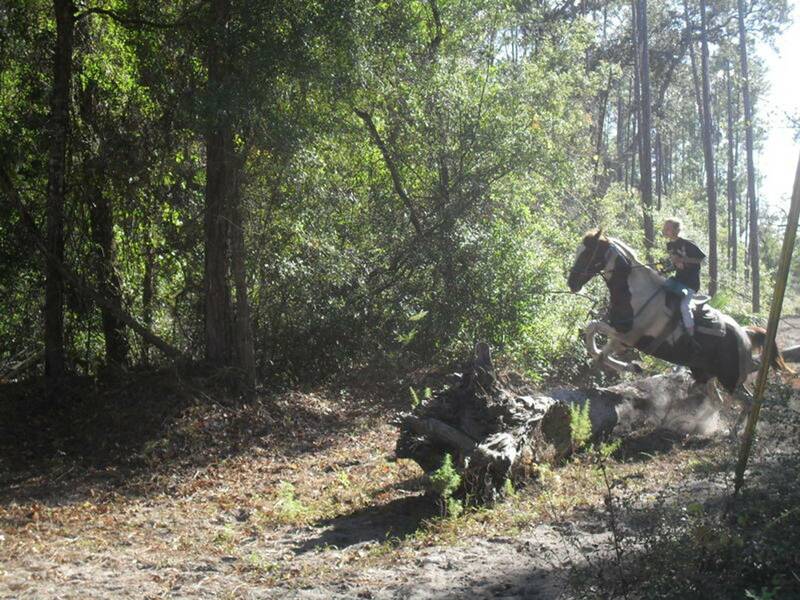 Misty would also take a run with her more experienced riders too. 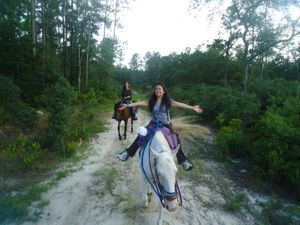 So many people learned to overcome their fears through her gentleness. She will be missed by many people. She lived a full life She met her final rest on 10-28-2012. She was 38 years old. Misty We Love And Miss You! R.I.P. cancer in both of her eyes. removed and surgery on the other eye several times. the other eye, we could not remove her eye. chose to have her humanely put down. She will always be missed! 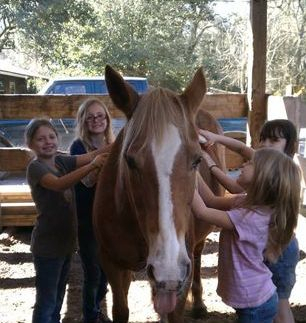 Ruby was one of the kindest horses, with the patience of a saint. 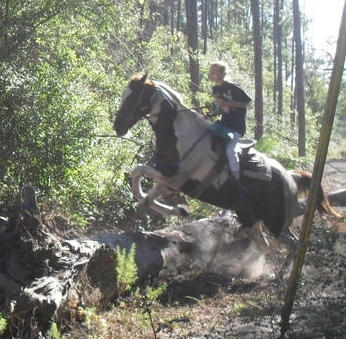 for anyone to ride and quickly became one of our most reliable trail horses. She has crossed the bridge to heaven but will never leave our hearts! Clyde only graced us with his presence here for a very short time. 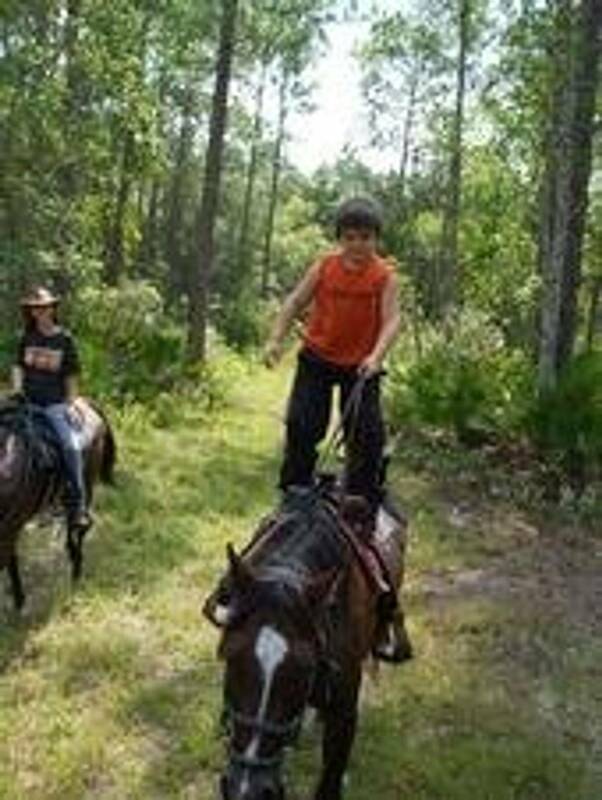 He was quickly accepted as one of the herd and settled right into the trail rides. We lost him to an unexplained attack of colic. Clyde although your time with us was too short, you were truly loved! 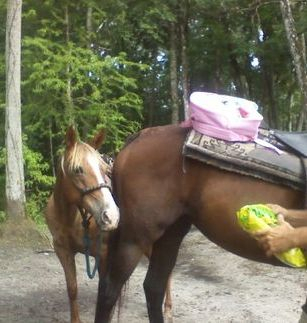 This little mare has been with us since before Makin' Tracks was even an idea. She helped us get started. She carried me through my pregnancy with my daughter. 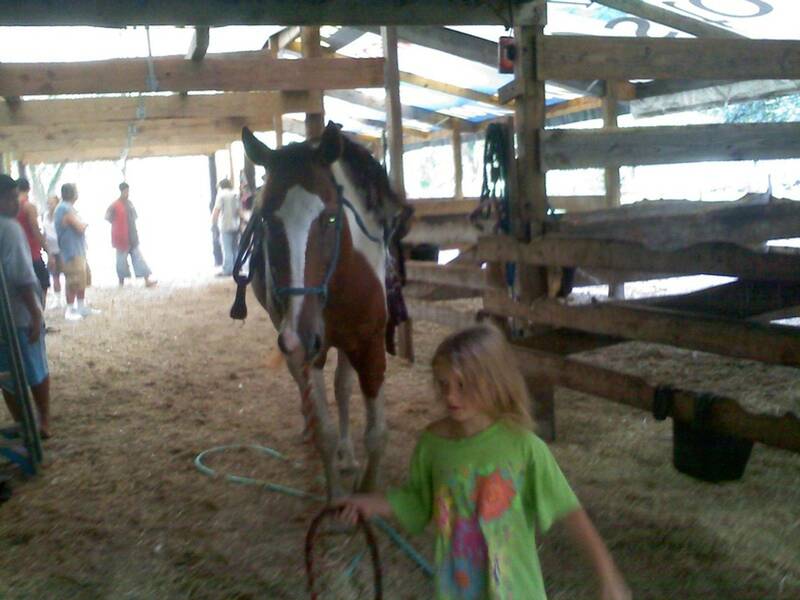 She has been my boys horse since he was old enough to claim a horse. It will take a long time to get used to the idea of her not being with us. The kids have all enjoyed grooming and brushing her. 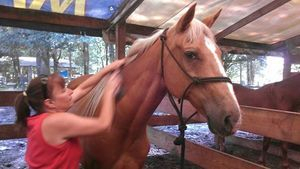 Misty loved to be groomed more then most, and it was great to show off her love for this. You could always trust her to behave like the little lady she was. She had impeccable manners in the barn and the field. 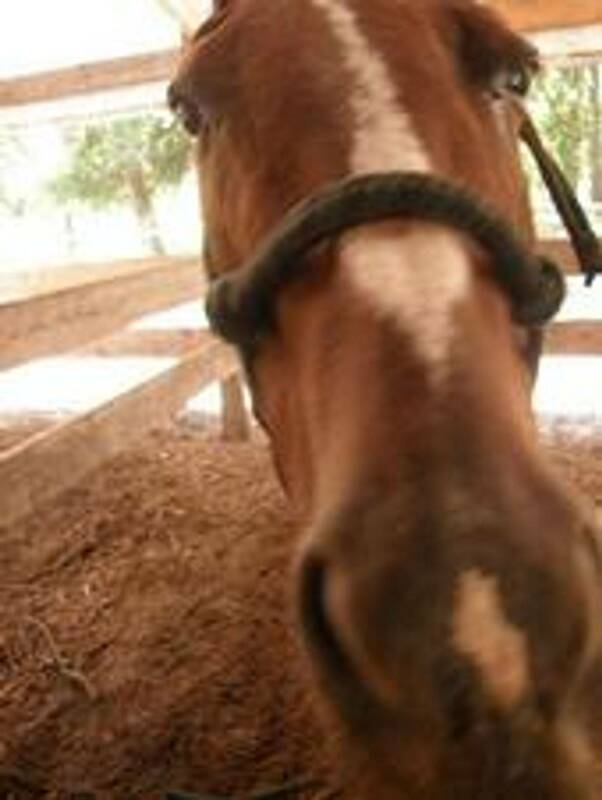 She was the kindest sweetest horse in the barn. If there was a new horse that needed a friend before they were strong enough to enter the herd, Misty was always the first choice. 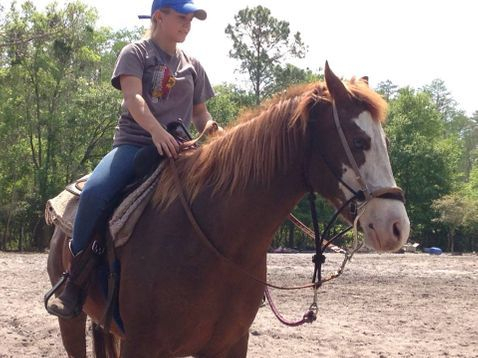 She did have a spirited side under saddle, though. I always compared her to a corvette with no brakes. She had all the go and none of the slow. But she cornered like a dream.Watching my son grow with her is a gift I will always cherish! 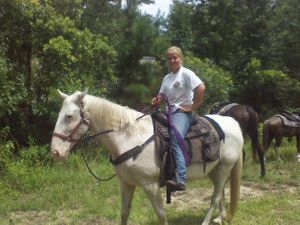 Misty passed on 7-24-1015 at the age of 28 years old. She may not have carried alot of customers, but she carries a huge piece of our hearts with her. Misty you will never be forgotten.